What Are the Parts Inside a Watch? 1 What Are the Parts Inside a Watch? 4 How Does a Pocket Watch Work? Methods for telling time have been around for thousands of years, with watches dating back to the 1400s, though they were mainly used by the wealthy. However, in the 20th century, watches were more manageable and affordable for the general public. Watches have now become a fashion statement for individuals. Despite the different types and styles of watches, there are a few primary parts of a watch. The mainspring is a spiral spring of metal ribbon. This is the watch’s power source that is activated when the winding the watch. The balance wheel of a watch is weighted and moves back and forth, producing the tick-tock sound in the watch. It is responsible for keeping time. The hairspring is a coiled spring that controls the movement of the balance wheel of the timepiece. The escapement works with the hairspring to make sure the balance wheel works properly. It is the ridged circular part attached to the top of the balance wheel. The gear train is all of the rotating wheels seen inside the watch. 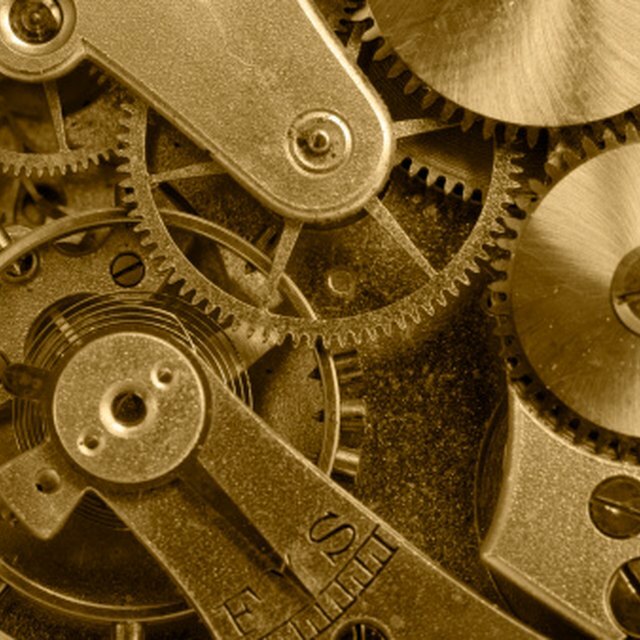 This part of a watch consists of at least three of these gears in multiple sized moving in different directions. These parts of a watch transmit power for the mainspring. The winding stem and oscillating parts are winding devices. In manual watches, the winding stem is the small, pointed stick that is used to wind it. The oscillating weight is used in self-winding watches. The dial train activates the minutes and hours hands.